The 2015 Golf R adds another strong entry to the expanding Golf hatchback family. What do you do when you’ve nabbed some of the industry’s top honors? How do you one-up yourself after being named both North American Car of the Year, as well as Motor Trend Car of the Year. If you’re Volkswagen, you take things to the next level with the launch of the new Golf R.
With its turbocharged, 292-horsepower inline-four, a pavement grabbing all-wheel-drive system and an electronic differential lock designed to keep you always pointed in the right direction, the 2015 Volkswagen Golf R is more than just the sportiest member of the fast-growing Golf “family.” It’s also the sort of product the German maker needs to kick-start a brand that has been unable to take advantage of the overall recovery of the U.S. car market. 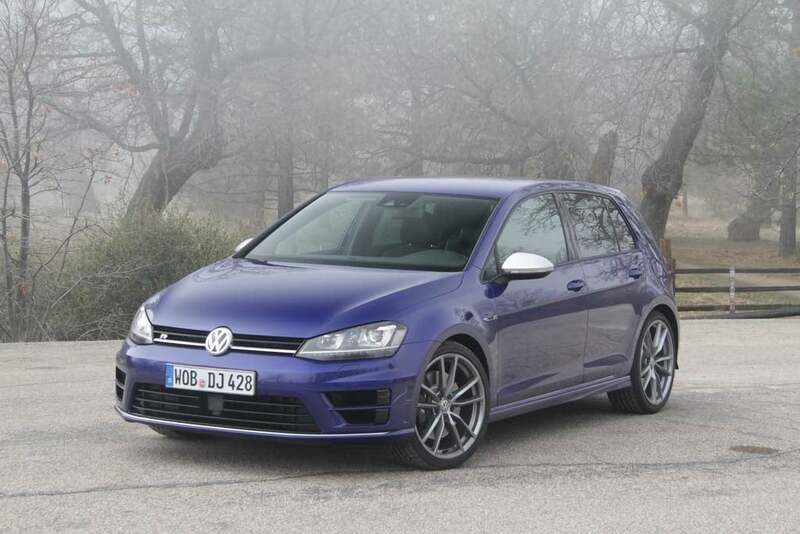 If you think this is just a slightly upgraded version of the GTI, well, you need to spend a little time behind the wheel of the new Golf R. Preferably on some fast roads with plenty of aggressive corners. We were lucky enough to be handed a set of keys and a route map that took us into the winding mountain passes east of San Diego – with, of course, a stop for some pie in Julian, a pleasant little mountain town that time has virtually passed by. Audi, Porsche results lead to strong results. VW CEO Martin Winterkorn is expressing caution about 2015 after a strong 2014. 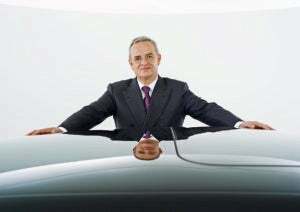 Volkswagen reported a 20% increase in net profits in 2014 and despite predicting it would meet it’s lofty ambition of selling 10 million units this year – three years early – it is cautious about 2015. “Given the subdued growth prospects in regions outside China, there is no guarantee that 2015 will be a successful year – either for the industry or for the Volkswagen Group”, said Chief Financial Officer Hans Dieter Pötsch. Fire-breathing racer expected to make 800 hp. 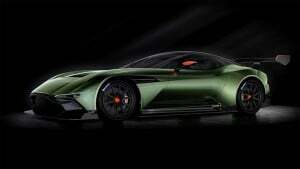 Aston Martin's new Vulcan supercar puts out 800 horsepower and will cost about $2.3 million. In Roman mythology, Vulcan was the god of armor and fire, his forge sending flames out from Mount Aetna. In the hands of British automaker Aston Martin, Vulcan is still shooting flames – but in this case, out of its side-exit exhaust pipes. The Aston Martin Vulcan is the name the maker has given to its new limited-edition, track-only supercar. Making a promised 800 horsepower, it’s the sort of four-wheeled rocket superspy James Bond might relish. But even he might have a hard time getting one, as Aston plans to build just 24 of them. One in four new vehicles average less than 20 mpg in 2014. 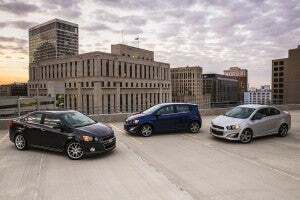 Small cars, like the Chevy Sonic, have helped to push the average fuel economy of vehicles to new heights. As automakers and the federal government head toward a potential clash over the 54.5 mpg corporate average fuel economy mandate for 2025, a recent study shows that automakers are making substantive gains in fuel economy: about one in four new vehicles get less than 20 mpg. That’s a significant uptick in just six years, according to the University of Michigan, which show that in 2008, half of new-car buyers in the U.S. bought vehicles that were rated at less than 20 mpg. U.S. lawmaker joins growing opposition; questions grow about both fairness and effectiveness. Opposition to traffic cameras keeps growing. A U.S. 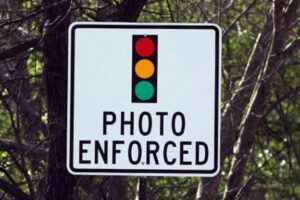 Congressman has joined the growing chorus of opponents who want to see the end of automated cameras used to enforce traffic laws across the country. Rep. Ed Perlmutter, a Colorado Democrat, has proposed a nationwide ban on the technology – which he contends is used primarily for generating revenue for cash-strapped communities. Congressman Perlmutter isn’t alone. 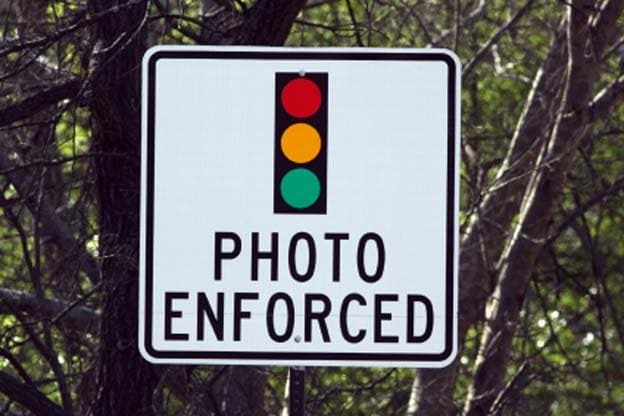 Lawmakers from both sides of the political aisle have joined forces to call for a traffic camera ban in Tennessee, while a judge in Ft. Lauderdale this week ruled the technology violates Florida law. But the bill proposed by the Colorado representative, the “Prohibit Automated Enforcement Act of 2015,” is the first attempt to block the use of cameras at a national level. “Automated traffic technology should be used for improving public-safety purposes rather than local governments relying on these devices to generate revenue,” Perlmutter said in a written statement. "Credible proof of our ambition to lead." 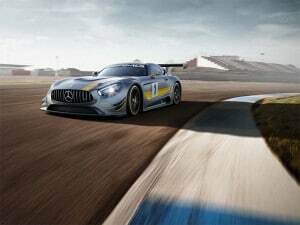 The Mercedes-AMG GT3 will start racing in 2016. Expect to see some serious track-ready sheet metal make an appearance at the Geneva Motor Show next week, including a track-only offering from Aston Martin, and a dual street and track Cayman GT4 from Porsche. So, how could Mercedes-Benz be left out of that high-performance pack? It can’t…or won’t, it turns out. Look for the Teutonic maker to bring its own track model to Geneva’s PALExpo convention center in the form of the AMG GT3. “We are entering a hard-fought and hotly competitive environment with the new Mercedes-AMG GT3,” declares Tobias Moers, the performance brand’s chairman. “You can only give credible proof of your ambition to lead if you’re beating the very best in the game. Poor sales, low profits spell end for 500 jobs at plant. 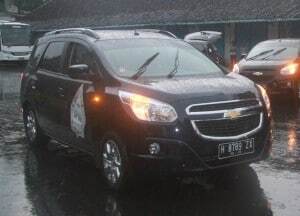 GM will stop building the Chevrolet Spin in Indonesia this summer and close the plant just outside of Jakarta eliminating 500 jobs. Weeks after announcing a new partnership with its Chinese partner, SAIC Motor Corp., to build small SUVs in Indonesia, General Motors is shuttering its car-making operations in the world’s fourth-most populous country. The move means the loss of 500 jobs in the country as GM recalibrates its efforts to be successful in Asia. Right now, it means a move toward making more sport-utility vehicles and getting out of building cars on it’s own. The automaker was getting beaten up by Japanese makers. Users can rent it for 2.5 hours at a time. Toyota is using its i-Road EV as part of a carsharing project in Japan and France. It looks like the illegitimate offspring of a motorcycle and a Smart microcar, and was initially laughed off as one of the endless stream of quirky concept vehicles Japanese makers have historically rolled out. 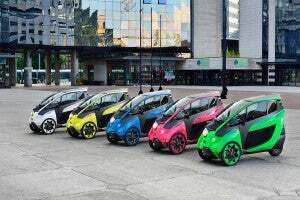 But the Toyota i-Road didn’t disappear like most of those concept cars after making its debut at the 2013 Geneva Motor Show. The pint-sized three-wheeler is about to be offered for public use as part of a carsharing program in Tokyo. It’s also part of a public transport plan being developed by the French city of Grenoble. Ability to ease congestion, cut traffic deaths cited. Vehicle-to-vehicle communication systems that make driving safer were named as a breakthrough technology by MIT. 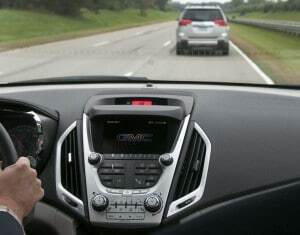 MIT Technology Review named Vehicle-to-vehicle communication, a much-discussed idea in the auto industry, one of the 10 Breakthrough Technologies for 2015. Each year, MIT and Technology identify technologies from the past year that solve difficult problems or create powerful new ways of using technology to make the world better. Ford adds jobs at Edge plant, GM trims back on car line. 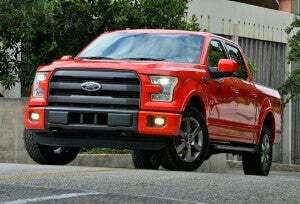 Low gas prices are helping to drive sales of full-size pickups like the Ford F-150, which is forcing makers to add jobs. The sharp slump in fuel prices has generally been good news for auto buyers and automakers alike. A growing number of buyers have been shifting from high-mileage cars to bigger pickups and utility vehicles in recent months. For manufacturers, that has swelled the bottom line since those vehicles tend to deliver some of the industry’s largest profits. But not everyone is celebrating. While companies, like Ford and GM, have been responding by increasing production of their best-sellers, they’re also trimming back at under-utilized car plants.